Just a quick update on whats been happening at Little Roseveth. After having lots of happy holiday makers this summer in Rose cottage and the B&B we are very close to having our second barn ready called Jasmine cottage!! This will be available within a fortnight. Apart from all the building work we have also had Solar panel installed this week. We feel its very important that we do our bit for the environment and we will be asking all our guests to use washing machines, dishwashers and other appliances throughout the day when the solar panels will obviously be at their most efficient. The solar panels are also complimented by Ground source heating throughout all the holiday cottages. 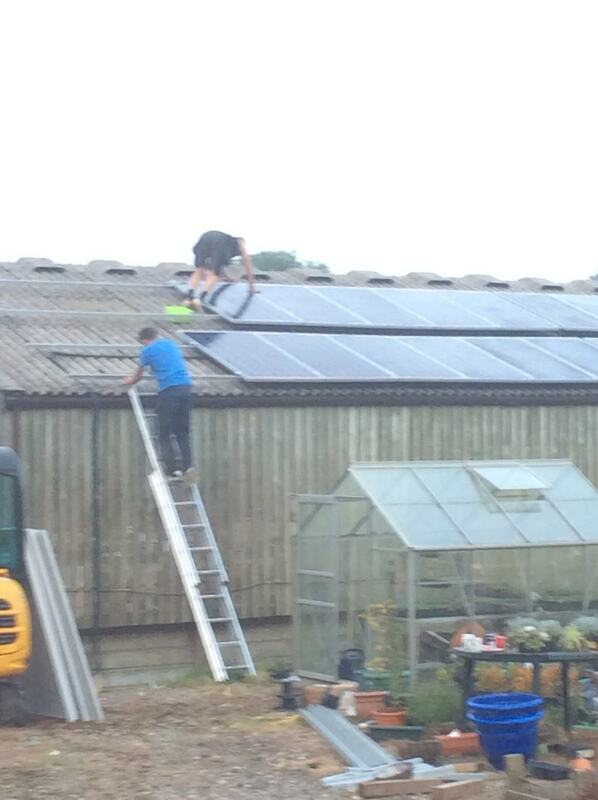 Below is a picture of the Solar Panels being installed on our big barn.